Celebrating over 50 years of music! 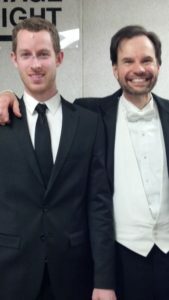 The Oakville Symphony celebrated its 50th Anniversary in the 2017-18 season. We captured some of the best moments in the video you can watch by clicking here. Founded in 1967 by local musician and educator Kenneth Hollier, with a mission statement to “make music for the pleasure of its members and the enjoyment of its audience”, the Oakville Symphony has certainly achieved this goal. The Oakville Beaver reported in 1968 that a small group comprised of three flutes, an oboe, two horns, a trombone, and a variety of strings met for the first rehearsal in the music room at Blakelock High School. Among them were current OS members Jean Grieve (cello) and Paul Lancaster (oboe) as well as the late Janet Jones (violin) who played with us until 2008. They began their project with dedication, ambition and optimism. Although the first few years were reportedly challenging, the newly-formed orchestra thrived under the leadership of Hollier. Their first concert was held at the YMCA on June 24, 1968, and consisted of a well-received selection of popular classics. From here the orchestra rapidly grew, presenting collaborations with the Clarkson Opera Society and the White Oaks Choral Society. Soon mini-concerts of chamber groups comprised of orchestra members were performing in various venues around the area. Concerts moved to churches and high school auditoriums as the dream of a real theatre was still unfulfilled. The year 1973 saw the untimely death of Ken Hollier. New conductor David Gray succeeded Hollier, performing more challenging repertoire, continuing a series of children’s concerts and initiating a pops concert in memory of its founder. The well-loved local composer and educator Anthony (Tony) Royse rose from the bassoon section to conduct the orchestra from 1976-1983. In 1977, the Oakville Centre for the Performing Arts was finally completed, providing a new venue for the Oakville Symphony. 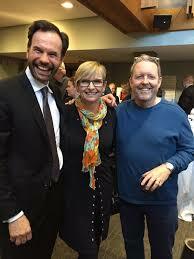 These years saw more collaboration with other arts organizations, including the Oakville School of Ballet for which Tony wrote three original ballets performed with the Oakville Symphony. Musicians from Tony’s regime remember fondly his wit, his talent and his enthusiasm. Music teacher Syd Read stepped up to the podium after Royse’s departure, followed by David Miller who conducted from 1987 until 1996. Miller began the practice of hiring professional section leaders to assist the orchestra in achieving a higher level of skill and musicality. A board of directors was officially formed. Performing at the Oakville Waterfront Festival enabled the orchestra to introduce symphonic music to hundreds of Oakville residents. The ensuing years saw enormous support grow from the community of Oakville for its orchestra. Today the Oakville Symphony is thriving. Under the inspired leadership of Maestro Roberto De Clara, it continues to present exciting and challenging programs for its audiences each season. Highlights have included the first performance by the OS of Shostakovitch Symphony #5 in the centennial year of the composer and the introduction of a choral series featuring performances of the Brahms and Mozart Requiems. The orchestra now has over eighty volunteer musicians, plus 11 professionals providing leadership and inspiration. 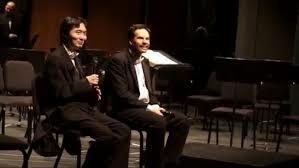 Performances by talented young soloists as well as established guest artists are featured in each concert. All this, combined with the work of its dedicated board of directors, has resulted in an unprecedented number of loyal repeat subscription sales for the past decade, leaving only a handful of empty seats. The OS is truly unique among community orchestras in Canada. In 2015, the Symphony awarded 10 Young Artists with $1500 scholarships. Those, coupled with the $500 Kenneth Hollier Award has made the OS very attractive to Oakville’s youth, stimulating the interest of young people in the community with symphonic music. 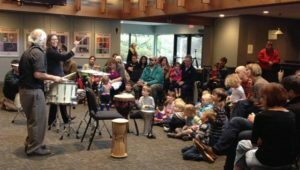 The Oakville Symphony’s Outreach Committee initiated a series of mini-concerts introducing young children to instruments of the orchestra. This culminated in the fall of 2006 with the first Young People’s Concert featuring the full orchestra. Thanks to the sponsorship of many local businesses, the Oakville Symphony is flourishing. Outstanding financial support from the Friends of the Oakville Symphony program initiated by Janet Jones, enables the symphony to present outstanding guest artists and a thrilling musical repertoire while keeping ticket prices affordable. The dream of a real community orchestra in Oakville envisioned almost fifty years ago has become a reality. The Oakville Symphony will move into its 50th Anniversary season having earned the reputation of one of the finest community orchestras in the country. Much has changed, but the most important thing remains the same. Every Monday evening local musicians gather from all walks of life in an Oakville high school for the pure joy of making music together. I know this for a fact because I am one of them. Originally written in 2007 by Jenny Peace.